Programmable Auto-Off Feature If you've ever had your scale turn off on ya in the middle of important measurements, you'll realize what a blessing this feature is. You can program the i300 to turn off automatically, or to stay on until you turn it off yourself. Tare Feature The tare button on the front of this portable scale can be pressed to "zero out" the weight on the scale. You can then add more weight, and the display will only show the weight of the item you're adding. This sure is useful if ya want to use this scale as a diamond or carat scale for weighing your jewelry pieces. It Remembers The Last Unit ya Used If your application needs weights in the same unit of measurement, (like ounces for instance), it can be a real pain if your scale always turns on ready to weigh in grams. It's a good thing the iBalance 300 turns on displaying the unit of measurement you were using when ya turned it off. Easy Calibration This scale comes factory calibrated and ready to use. Just in case ya need to calibrate it, the i300 comes with easy to follow calibration instructions. You'll just need to pick up a 200 gram calibration weight to get the job done. Recently purchased an i300 scale and adapter. The scale worked perfectly, but the port where the adapter would plug in was blocked. I made one phone call that was answered by a real person, who immediately shipped me another new scale, and told me to "throw the original scale in the trash. 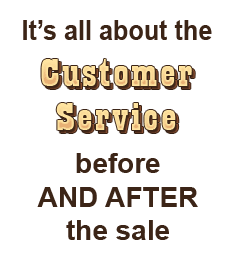 No questions, no returns, no shipping costs... just great service ! What a breath of fresh air !! 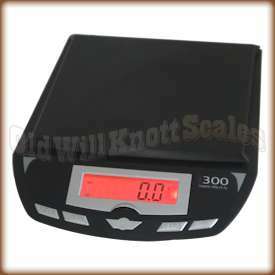 I recently bought " My Weigh iBalance 300 Digital Jewelry Scale" ! So far I'm very pleased with my choice! The delivery and all transaction was flawless , fast and outright pleasant! Thank you, that's a very rare nowadays! The scale looks solid so I'm hoping that it will serve me well! This is good scale that we use in manufacturing. We liked it so well we bought another one when a different model scale started having issues. Works great for the price. I was looking for a scale that would stay on longer than 30 seconds. I measure various powders and liquids for my hair business and was very frustrated to find that most scales auto shut-off within 30 seconds. I chatted with the customer service department and they pointed me to several scales that can be manually adjusted to stay on longer (2 minutes-5 mins) This scale is extremely accurate and very easy to use. Plenty of options for weighing smaller items as well as being in my price range. Thanks for having such a great selection of scales! I love my new scale and has made my job so much easier and my clients very happy too. Excellent to use, battery powered, 0.1g precision, worked perfectly--until the day it didn't. The buttons are apparently not sealed, so be careful to keep the unit clean and dry. I bought the i300 scale and the 200g. calibration weight to determine the value of my gold and silver jewelry. The scale arrived in record time and was ready to go. I now have a catalog of the weight and value of my jewelry and will know what it is worth if I want to sell any of it, without having to depend on the opinion of a jeweler or broker. I bought the scale for checking the weight of my grandson's Pinewood Derby car. I found it to work well and be ideally suited for that purpose. I also bought the 200-g cal weight which is probably essential with this scale. I purchased this scale for weighing Cub Scout Pinewood Derby cars and it worked great! It is just the right size, easy to use, and is very accurate. It is now our "Official" Pack scale for the derby check-in. Thanks to Old Will Knott's for making the recommendation! It turned out to be exactly what we were looking for and based on the quality of construction I'm sure we will get years of good use out of it. This scale is accurate. I checked the accurcy with a 200 gram weight and thats exactly what the scale read. Its features and quality are worth more then the price. I use this scale mainly for small homebrewing ingredient additions such as hops and priming sugar, and even tiny measurements such as those needed when adding brewing salts. I am very happy with the results! This scale is very simple to use and is well worth the cost. This is an easy to use and high quality item that I am getting a lot of great use from. Considering that batteries are included, the scale can be taken out of the package and used right away. I highly recommend it for your small scale weighing needs! I've bought many scales from Oldwillknott and everytime it's been shipped super fast and arrived intact. This is probably my fourth My Weigh scale and they all work great, very accurate and you can't beat the price. At the suggestion of a wildlife rehabilitator, I bought three of these scales for my veterinary practice, since we treat so many small exotic mammals. They are easy to use, accurate, and inexpensive. I highly recommend them. Mainly got this to weigh discs for disc golf, and food items. Really easy to use, swithing from grams to ounces, tare weight, and operates quickly. The backlight feature comes in handy if the lighting is poor. Will Knott shipped the scale very quickly. Very pleased with the service and pricing. Could not ask for a better balance and OldWillKnott got it to me quickly too. Very happy, great reads, and the functions to hold a weight and add more stuff if so helpful. It's also the perfect size. I think this is a wonderful scale,,it is especially good for weighing my little parakeets. I put a little porclean, or plastic round plate with a little food on it, set it to zero, let my budgies (parakeets)out in the morning and they jump on it to eat and I get a good reading of their weight without scaring them! For my cockatiels, I put a perch on the scale, set it to zero and I weigh them also,,I do this in grams. A very fine scale.Easy to use.Large platform. Very accurate! Thank you ! Very good scale in all respects and Old Will Knott Sales shipped it promptly. 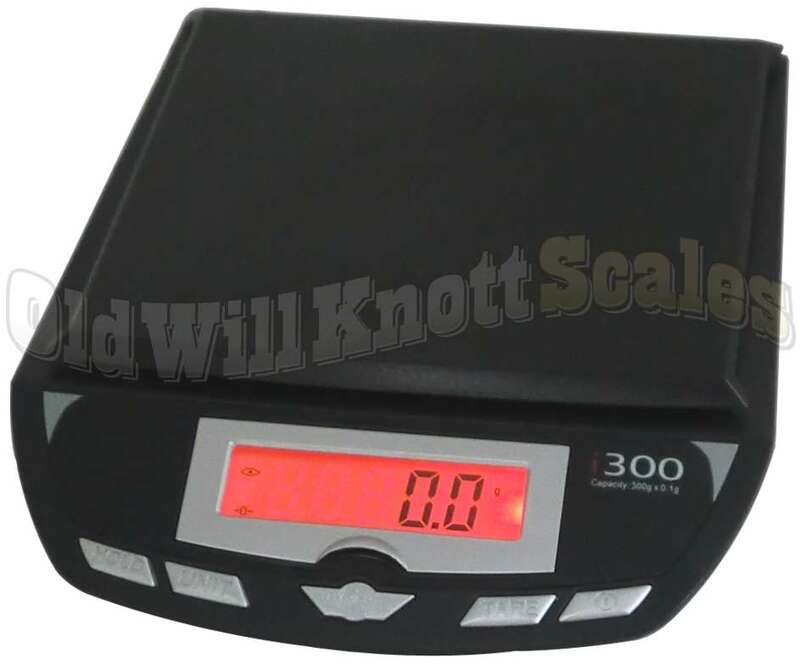 I would recommend this scale and this seller to anyone wanting a accurate scale with an excellent guarantee and one that is not meant to be so tiny as to fit in their shirt pocket.